Country comfort at its finest! 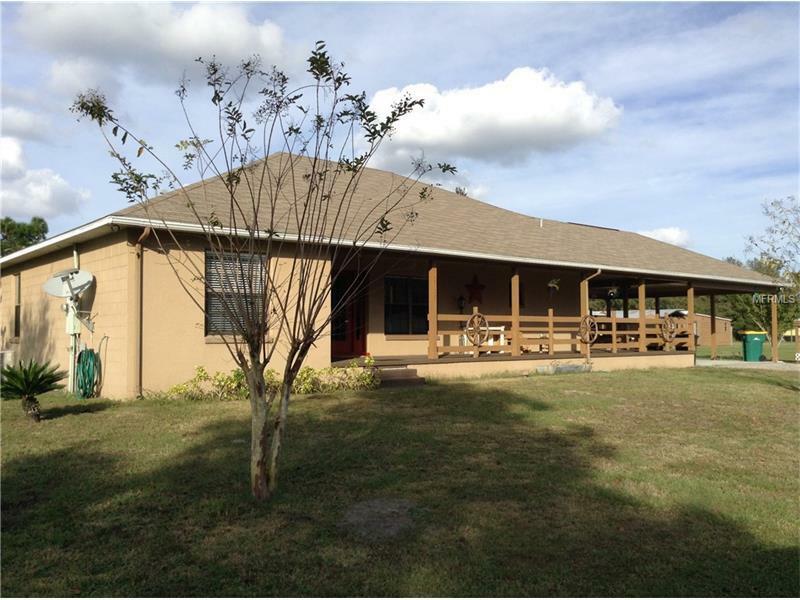 Spacious home on over 5 acres. Enter gated property via private drive through oaks and pines. At the clearing see inviting wraparound porch, and a charming modern country home to fall in love with! From the front porch enter the living/great room with gorgeous reclaimed wood flooring, which is throughout the home. High ceilings make for wide open spaces. There are lots of custom wood features including sliding closet barn door, woodwork above plant shelf, in dining area, and below breakfast bar. Huge kitchen has stainless steel appliances, ceramic counters and unique stainless steel backsplash. Kitchen is open to the main area of the home, for easy entertaining. The large master suite features walk-in closet and en suite bath with step-in shower. The other two bedrooms, which also have walk-in closets, share the other full bath. The laundry/mud room leads to the side porch. Outside is a deck and above ground pool, 2-car carport, lots of attached outbuildings with electric, a pole barn, dirt mound backstop for shooting range, then the property goes back for acres, with trails for 4-wheelers or horses. This is a spectacular property for the family that loves the outdoors, and indoor comforts too. Located on Narcoossee Corridor, close to Lake Nona Medical City and Orlando International Airport. You will find plenty to do here at home!